Register by April 24th to join us for a free Explore 4-H LEGO Robotics and STEM session open to youth 5-18 years old at 1:30 pm on Saturday, April 27th at Panhandle Lake 4-H Camp. Providing accounts of how our programs empower participants to better their lives. We hope these reports inspire you to join at least one of our programs or events, share your story, and provide feedback. Finding Ideas in Our Garden for Yours --- 10:00 AM - Noon --- Join Master Gardeners for a guided tour of the Master Gardener Demonstration Garden at the Elma Fairgrounds. If inclement weather, held at the Extension office. The 2018 Farm Fresh Guide now lists 37 local farms that provide a wide diversity of products for sale directly to the consumer. The new Farm Fresh Guide is updated with several new farms and a list of agricultural events throughout the county. Use this publication to get to know and support your local farmer. You can discover a farm stand, a U-Pick berry farm, flower & herb farms, or fun festivals. Use the guide to source delicious produce and humanely raised meat. 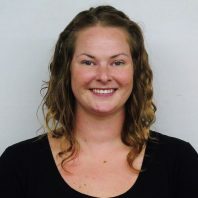 My name is Kiley Smith, the new Small Farms Educator for the WSU Extension in Grays Harbor County. I am a Grays Harbor native, having graduated from Aberdeen High School, received an AA degree from Grays Harbor College, and a Bachelor Degree from The Evergreen State College. I have been small-scale farming for the past 5 years and have worked in the produce industry for 7 years. My goal is to support small farms, producers, distributors, and community members with networking, marketing, and educational opportunities. I am looking forward to getting to know everyone involved or interested in the local food system. If you have any questions or would like to be notified of farm-related events and news please contact me at 360-482-2934 or via email at Kiley.smith2@wsu.edu. WSU Grays Harbor County Extension programs connect the people and communities of Grays Harbor County with the knowledge base of Washington State University to promote quality of life and advance economic well-being through fostering inquiry, learning, and the application of research.